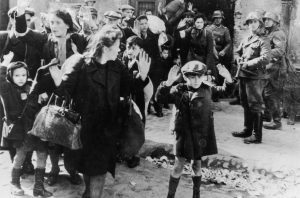 Grabowski is professor of history at the University of Ottawa in Canada and a dean among Holocaust historians, especially on the actions of bystanders. His 2014 book, “Hunt for the Jews: Betrayal and Murder in German-Occupied Poland,” was the Yad Vashem International Book Prize winner for the same year. He also served as a fellow at the U.S. Holocaust Memorial Museum. The latest research entailed identifying, interviewing or reviewing interviews with as many survivors as possible to ascertain the fate of other Jews in hiding who did not survive, the report said. It also features newly discovered archives from remote areas of Poland from the Nazi occupation days and thereafter.